Home children military My Military Child. April is an important month around these parts. It is the month of the military child. If I had to define a military child other than the very obvious (born to a military service member) I think you would find such words as: strong, resilient, independent, able to thrive in any environment, loved and admired. 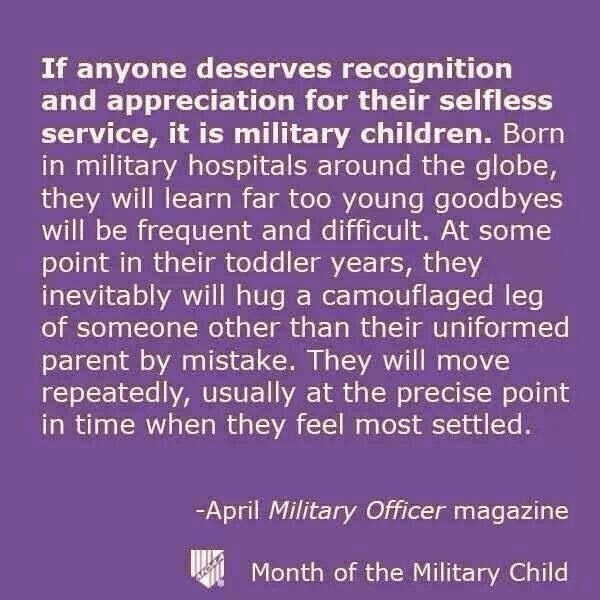 Being the mother of a military child I know first hand that they go through more than the average child does. Separations away from parents, years spent nowhere near extended family and the constant uprooting just when they feel comfortable. I know it will not always be easy for Grace to grow up in the shadow of the military but I know she will experience life in a whole new way - a way I hope she learns to appreciate some day. Five years ago I made the decision to join this lifestyle when I married my husband. Grace? She was born into it. She doesn't have a choice in the matter. To me - she is someone our nation should thank. So today I am taking a moment to thank and appreciate all the military children nation wide that silently endure this lifestyle sometimes their whole life. They make coming home easier for our service members and the service members being gone easier for the spouses. I am proud to be the mom of a military child. 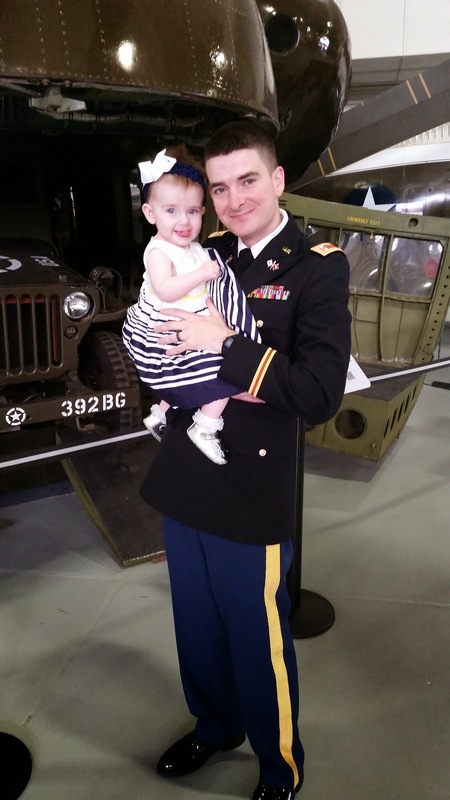 I was a military child and it was tough to move around, but I got used to it. So far my kids have been okay with it. But as they get older, it'll get harder I'm sure. I freaked out when we had to move as a teenager. Such an amazing post! Military kids are so special! Then you have the crazy military brats who join the military and marry other military brats. I loved growing up all over the country, and I love that Mac and I get to experience military life together.